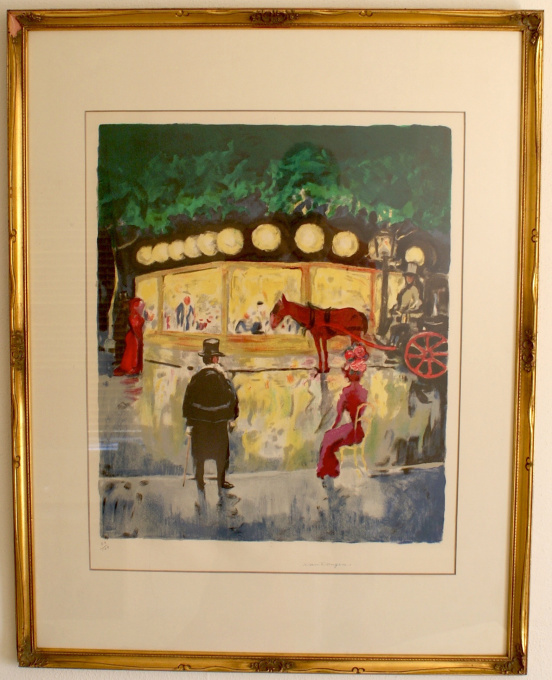 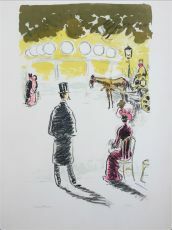 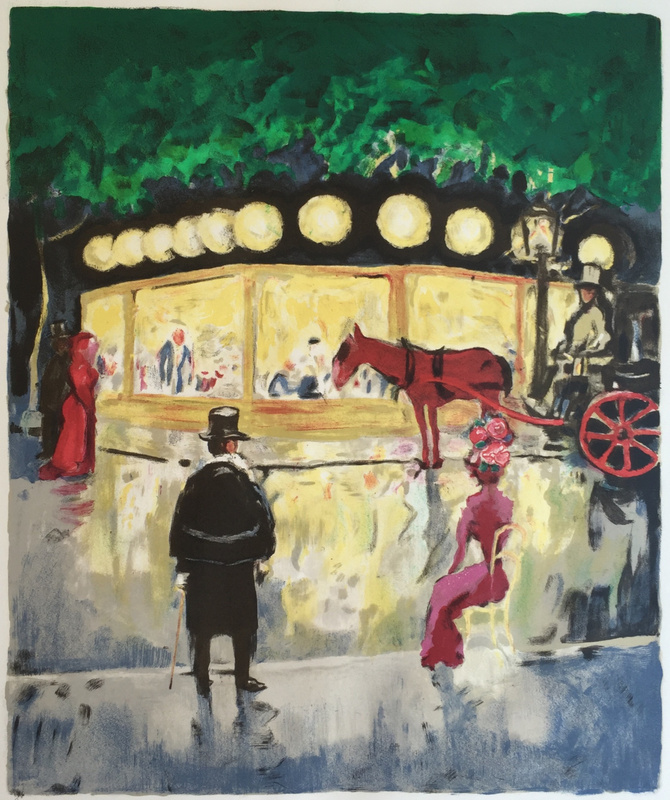 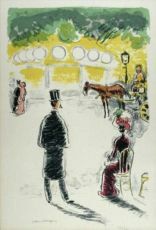 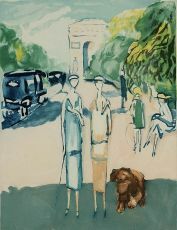 Kees van Dongen – Le Carrousel (De Champs- Elysées). 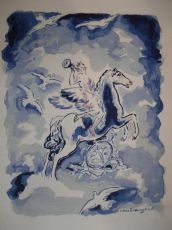 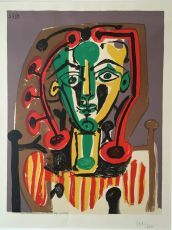 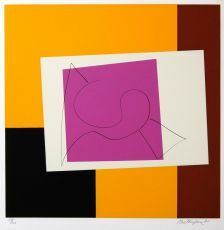 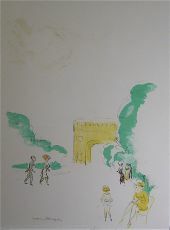 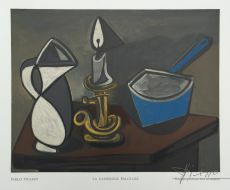 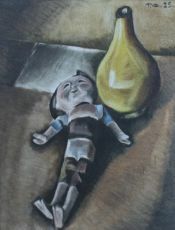 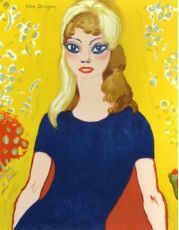 Color lithograph, 1963. Edition 100 hand signed and numbered in ballpoint (number 66). Perfect condition with vibrant colors. 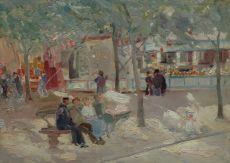 Kees (Cornelis) Theodorus Marie van Dongen was born on 26 January 1877 in Delfshaven, on the outskirts of Rotterdam, the Netherlands. 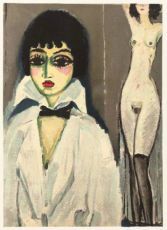 Kees van Dongen is a Dutch-born French painter, one of the leading Fauvists after Henri Matisse, particularly renowned for his sensuously slender portraits of women. 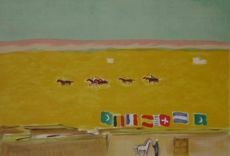 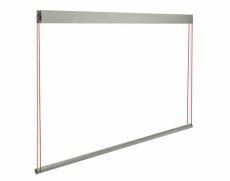 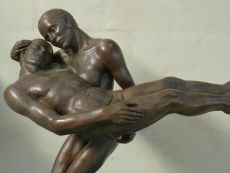 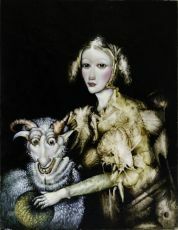 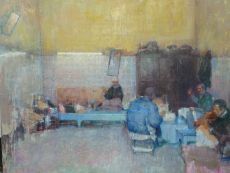 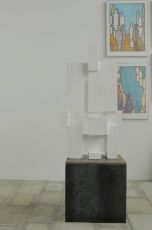 He attended the Royal Academy of Fine Arts of Rotterdam, working with J. Striening and J.G. 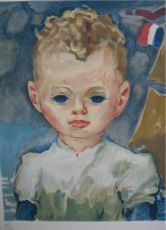 Heyberg, and moved to Paris at the age of 20. 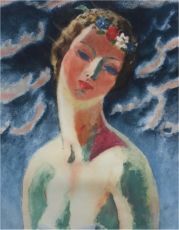 Having made the acquaintance of Matisse, he participated in 1905 in the famous Salon d'Automne, at which the Fauve (Wild Beast) group was given its epithet. 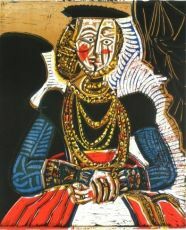 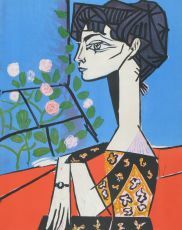 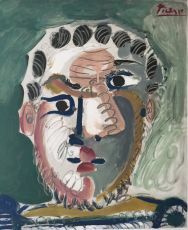 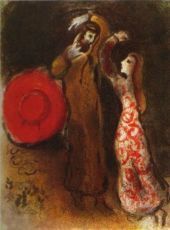 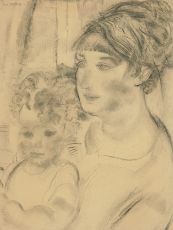 In 1907 he was contracted by Daniel Henry Kahnweiler, the dealer of Picasso, and his reputation grew. 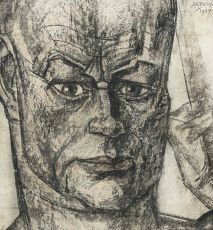 In 1908 he was invited to join the German Expressionist group Die Brücke (The Bridge), centred at the time in Dresden. 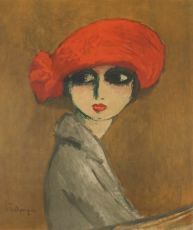 Kees van Dongen's candid, colouristic portrait style was immensely fashionable by the end of the Great War (1914-1918). 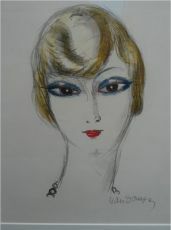 The figure of the thin, red-lipped, unmistakably aristocratic woman (as in Woman with Jewels, 1905) became his rather chilling archetype. 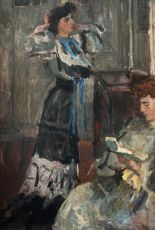 His portrait of Anatole France (1917) is particularly notable. 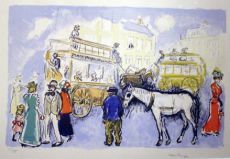 He also painted numerous richly coloured seascapes and scenes of Paris in an assured, economical style. 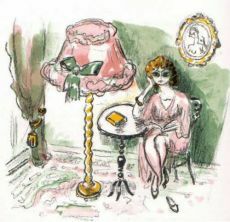 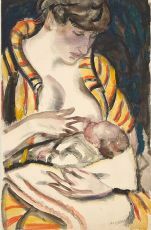 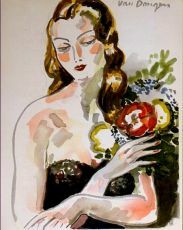 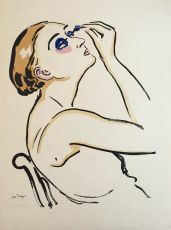 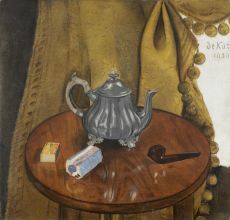 In addition to selling his paintings, van Dongen also gained an income by selling satirical sketches to the newspaper Revue Blanche. 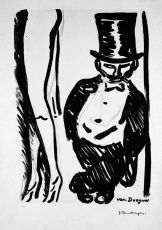 He also organised very successful costume balls in Montparnasse, to which people paid admission, to gain extra income. 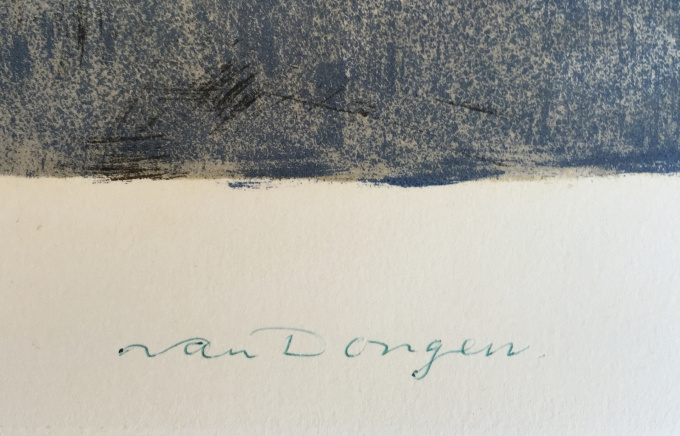 From 1959, Kees van Dongen lived in Monaco. 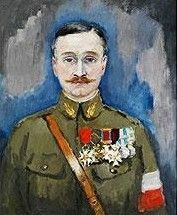 He died in his home in Monte Carlo in 1968. 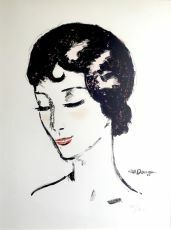 An extensive collection of van Dongen's work is held by the New National Museum of Monaco.